The Creek OBH-15 Mk2 is a high quality phono pre-amplifier with a robust construction, multiple gain settings and matching capabilities for capacitance and resistance so you can match it perfectly to your turntable. The OBH-15 mk2 has a completely new circuit design, with a discrete transistor MC and integrated circuit MM stage. 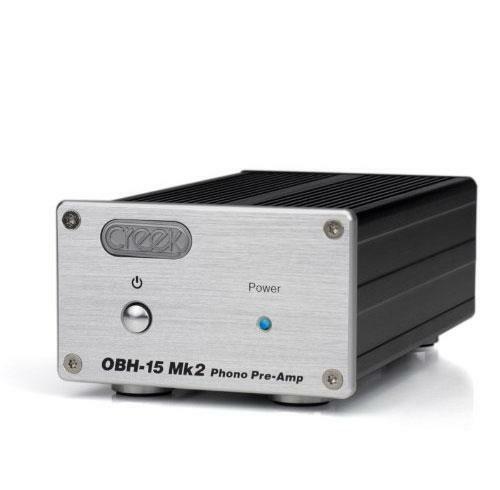 Ideal for use with amplifiers without a phono input or as a replacement for the basic phono input found on many systems, the OBH15 Mk2 simply connects to any line level output. A superb robust construction and excellent performance make the Creek OBH 15 Mk2 a top-notch phono pre-amp solution.